Registrations may be taken at any time before 20 October each year, subject to class availability. An Open Day is held each year in January, at which new parents may meet the teachers. Our studio is the perfect place for a young child to take their first dance class, and a professional environment for the more serious dancer. 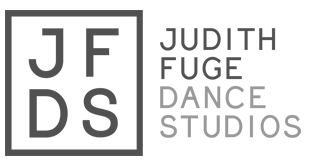 JFDS provides dance education to all ages in the areas of ballet, tap, jazz, lyrical, hip hop and pointe. We have highly qualified passionate teachers, over 70 classes offered weekly, and 20 Performance teams. We invite you to be a part of our amazing dance family and thank you for trusting your child’s feet into our hands! We focus our dance education on learning in a fun and encouraging environment- whether the dancer is attending for Fun and Fitness, or wants to take things more seriously. We want to help your dancer become the best they can be, and the best they want to be. Our classes can begin from Age 2, and our goal is to produce confident, competent dancers. Our year is divided into four terms of between 8 and 11 weeks each, which are aligned with the school terms. We guarantee a minimum of 8 lessons each term, ( which in Term 4 includes Show rehearsals) and do not charge extra for weeks over this minimum. “Makeup’ classes will be offered if the year falls short of 32 weeks There is great consistency in learning through weekly classes, and we recommend your child attends as many of their weekly lessons as possible. Invoices are emailed to you prior to the beginning of each term. Invoices are due by the first day of each term, unless alternative arrangements have been made with our admin team. Alternative arrangements must be set up to be paid at regular intervals throughout the term, so that the term fee is cleared by one month before the beginning of the following term. Fees unpaid by 30 days after the due date will incur a Late fee of $35. For students who may leave during a term, fees are non refundable. We offer six classes at the regular rate, and every consecutive class at half price. We also offer a FAMILY MAXIMUM for families who have 3 or more students attending- feel free to enquire about this.